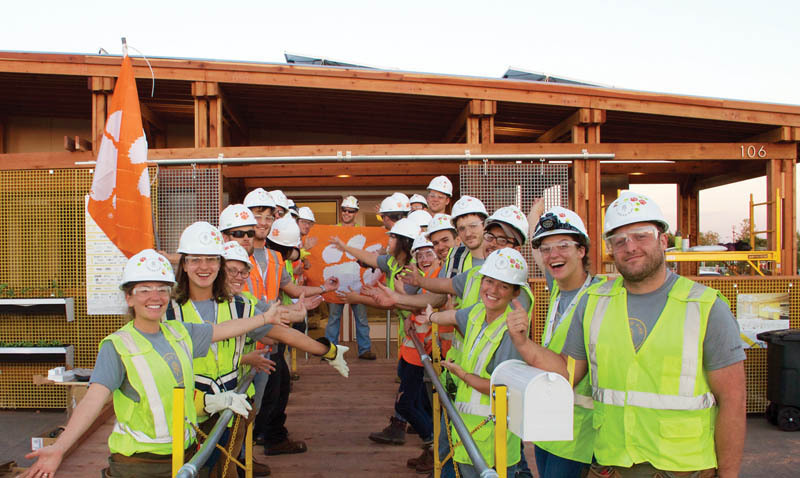 Congratulations to the Clemson team for their amazing performance in this year’s Solar Decathlon, held in October in Irvine, California. They finished sixth overall among a global field, ranking second in both the architecture and communications sections and third in the market appeal section of the competition. Indigo Pine, the Clemson team’s house, was made possible by scores of sponsors and donors whose contributions included time, knowledge, money and materials. Hosted by the U.S. Department of Energy in collaboration with the National Renewable Energy Laboratory, the Solar Decathlon challenges 20 colleges and universities to design, build and operate solar-powered houses that are cost-effective, energy-efficient and attractive. For more about the Indigo Pine project and the many donors who made it possible, as well as videos about the process, go to clemson.edu/indigopine.